UPDATE: Police report Novik has been found and is safe. Police are asking for help in finding a missing Gramercy woman who was last seen on Monday, August 14 in the East Village. Olivia Novik, 26, is a resident of the Gramercy Arms building at 145 East 15th Street. She is described as approximately 5’6″ tall, 140 lbs. with brown eyes and long brown hair and has a tattoo of an olive branch on her back. The missing might be wearing a brown and white blouse with dark leggings and sandals. Anyone with information is asked to call the NYPD’s Crime Stoppers Hotline at 1-800-577-TIPS (8477) or for Spanish, 1-888-57-PISTA (74782). The public can also submit tips by logging onto tnypdcrimestoppers.com or by texting their tips to 274637 (CRIMES) then enter TIP577. All calls are strictly confidential. A 12-year-old named Xavier Reyes, whose current residence is the Administration for Children’s Services at 492 First Avenue, has been missing since Tuesday evening at 8 p.m., police said. He was last seen in Kips Bay in the vicinity of 28th Street and First Avenue. He is Hispanic, 5’1″ tall, 174 pounds and has red hair, brown eyes and a light complexion. He was last seen wearing a black jacket, a gray shirt and gray sweatpants. Anyone with information is asked to call the NYPD’s Crime Stoppers Hotline at 800-577-TIPS or for Spanish 1-888-57-PISTA (74782). The public can also submit their tips by logging onto the Crime Stoppers Website at http://www.nypdcrimestoppers.com or texting their tips to 274637(CRIMES) then enter TIP577. All calls are strictly confidential. UPDATE: Hoffmaier has been found. Police are looking for a Kips Bay teen who has been missing since Friday, January 15. Kyle Hoffmaier, 16, was last seen at his home at 305 East 24th Street and Second Avenue at around 11:30 p.m. He is described as white with brown eyes, about 5 ft. 4 ins. tall and approximately 145 lbs. He was last seen wearing a grey polo shirt, khaki pants, a black leather jacket and blue sneakers. Anyone with information is asked to call Crime stoppers at 1-800-577-TIPS (8477). The public can also submit tips by logging onto nypdcrimestoppers.com or by texting their tips to 274637 (CRIMES) then enter TIP577. All calls are strictly confidential. Police are asking for the public’s assistance in finding an 87-year-old man who has been missing since Saturday, August 1. 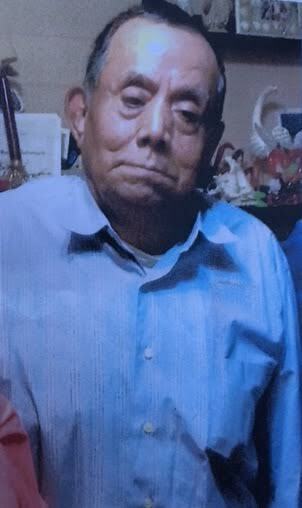 Margarito Cruz, of 172 5th Avenue, was last seen at 4 p.m. on Saturday in front of 174 5th Avenue (at 23rd Street) wearing a blue Con Edison tee shirt. He is 5’6″ tall, weighs 200 pounds and is deaf and mute. The public can also submit their tips by logging onto http://www.crimestoppers.com or texting their tips to 274637(CRIMES) then enter TIP577.